Acacia cumanensis Willd., Acacia juliflora (Sw.) Willd., Acacia salinarum (Vahl) DC., Algarobia juliflora (Sw.) Heynh., Algarobia juliflora as defined by George Bentham refers only to the typical variety, Prosopis juliflora var. juliflora (Sw.) DC, Desmanthus salinarum (Vahl) Steud., Mimosa juliflora Sw., Mimosa piliflora Sw., Mimosa salinarum Vahl, Neltuma bakeri Britton & Rose, Neltuma juliflora (Sw.) Raf., Neltuma occidenatlis Britton & Rose, Neltuma occidentalis Britton & Rose, Neltuma pallescens Britton & Rose, Prosopis bracteolata DC., Prosopis cumanensis (Willd.) Kunth, Prosopis domingensis DC., Prosopis dulcis Kunth var. domingensis (DC.) Benth. Mexico, Central and northern South America. Locations within which Prosopis juliflora is naturalised in include parts of Australia, Brazil (outside its native range), Africa, western Asia, Arabia, the Indian Sub-continent and Hawaii. 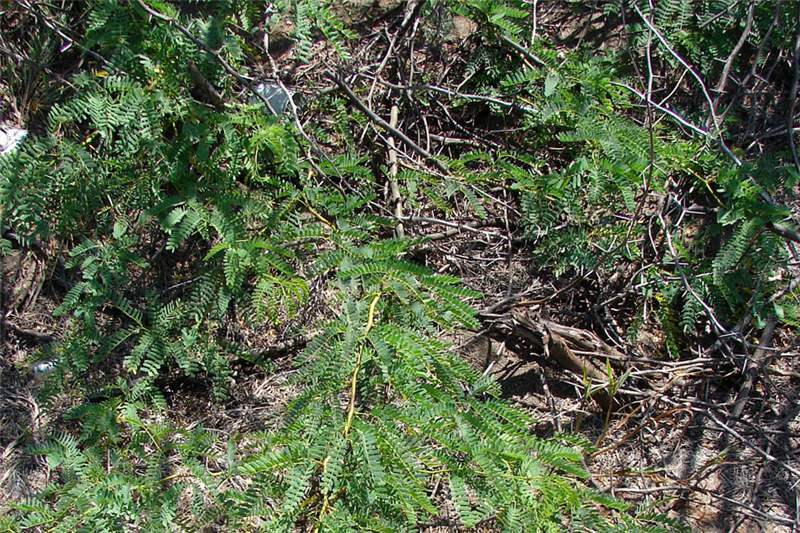 Prosopis juliflora is invasive in parts of Kenya and Tanzania (Global Invasive Species Database) and in northern Uganda (A.B.R. Witt pers. obs.). In Kenya this species was originally introduced in the arid and semi-arid areas of Kenya such as Baringo. It has recently dramatically expanded its range and now widespread in Kenya. Prosopis juliflora thrives in most soils including; sandy, rocky, poor and saline soils within an altitude range of 300-1900 m above sea level. where it has deep taproots which help to access sub-surface waters. Prosopis juliflora is a thorny shrub 3-5 m or tree growing up to 15 m height. It has a thick rough grey-green bark that becomes scaly with age. 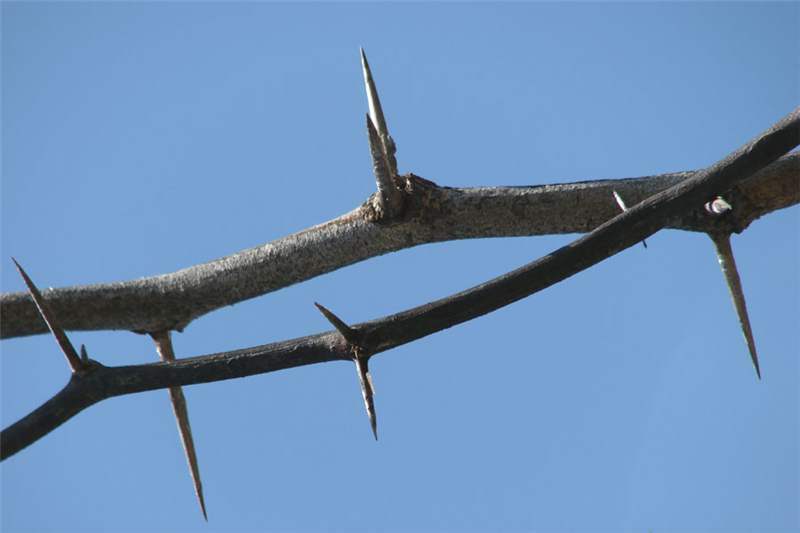 The plants are often multi-stemmed and furnished with abundant large and very sharp thorns measuring up to 5 cm. The tree is deeply rooted. The stems are shaped in a "mild zigzag" way with one or two stout thorns at each turn of the stem. Leaves, are twice-compound (bipinnate) with mostly two, sometimes more pairs of pinnae, 6-8 cm long, 12-25 pairs of oblong leaflets per pinna, 6-16 mm long, 1.5-3.2 mm wide. The flowers are fragrant golden-yellow, dense spikes about 5-10 cm long. The fruit of P. juliflora is a cylindrical or slightly irregularly curved green pod which turns yellow upon ripening. It is 10-20 cm long, sweet to taste and contains 10-20 hard oval or elliptic seeds (2.5-7 mm long) that are difficult to extract. This plant reproduces through seed, often once they have passed through the digestive tract of browsers - such as goats, cattle, camels and some wild herbivores. It is spread along water courses and run-off areas during periods of rain and then spreads laterally from these sites. Prosopis juliflora has many variants and several closely related species in east Africa such as Prosopis chilensis, also an introduced species. 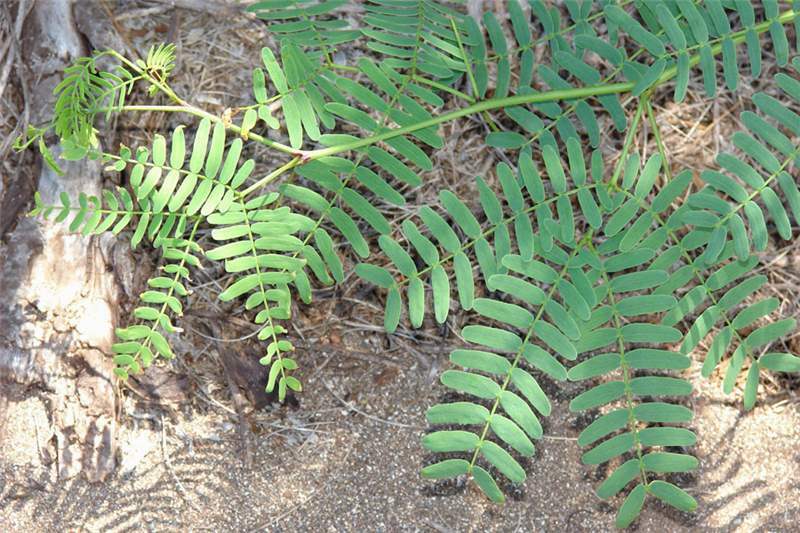 Various Prosopis species have been introduced to Africa over the past 190 years for their beneficial qualities which include erosion control, shade, fuelwood, building materials, and pods for animal and human consumption in arid and semi-arid regions. The fact that there are clear economic uses to this species but severe negative consequences of P. juliflora invasion makes this a conflict of interest species. Prosopis juliflora can be a very aggressive invader and replaces native vegetation and takes over rangelands. Negative effects include complete loss of pasture and rangelands for both domestic and wild ruminants, losses due to access to water and the destruction of fishing nets by the thorns, and illness and death of livestock due to eating P. juliflora pods and being pierced by the sharp and stout thorns. Other impacts are loss of cropland, the costs of repairing tyres punctured or destroyed by thorns, and doctor's bills for treating thorn wounds. 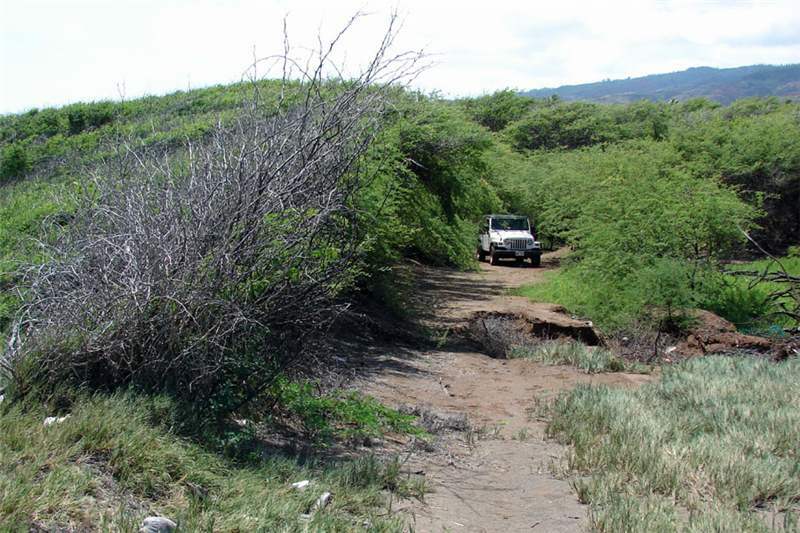 Dense stands of P. juliflora can block irrigation channels, obstruct roads and block smaller trails completely affecting access to pasture, croplands, water sources and fishing areas. Prosopis species are salt and drought tolerant with deep roots which tolerate dry as well as waterlogged soils. Seed production is prolific. Trees rapidly form dense thorny thickets that reduce biodiversity (Weber, 2003). Invaded grasslands are transformed to woodland and forests. Loss of grass cover under canopies may also promote soil erosion. It has massive impacts upon water resources. The tree resprouts easily after damage (Weber, 2003). Crop farmers from Chemonke village, Kenya, have had to seek alternative settlement elsewhere because they have lost their land to P. juliflora invasions, often resulting in conflict with established communities, (Mwangi and Swallow, 2005). Surveys of local communities around Lake Baringo revealed that 85-90% of respondents to a questionnaire favoured complete eradication of invasive Prosopis species (Mwangi and Swallow, 2008). In another study Maundu et al. 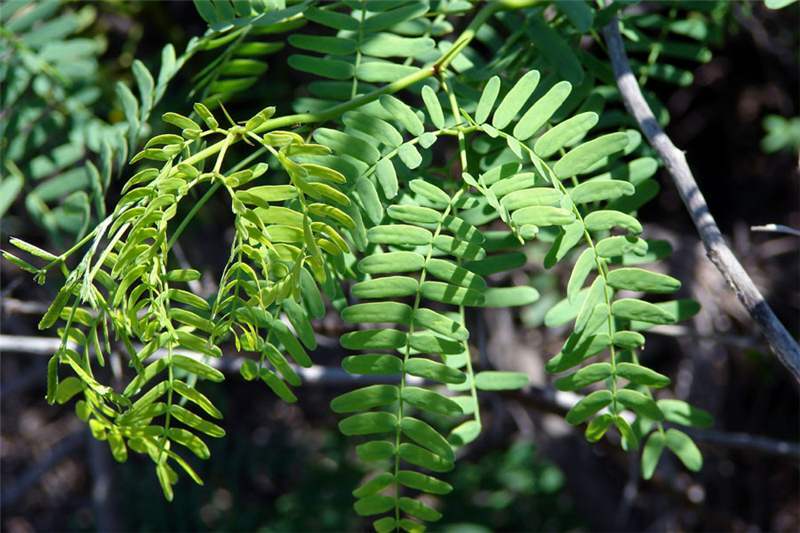 (2009) found that 64, 79, and 67% of respondents interviewed in the Garissa, Loiyangalani, and Baringo areas of Kenya, respectively, said that life would be better without Prosopis. Over 90% of livestock owners in eastern Sudan regard invasive Prosopis as a liability and pastoralists in Ethiopia refer to Prosopis as the "Devil Tree". 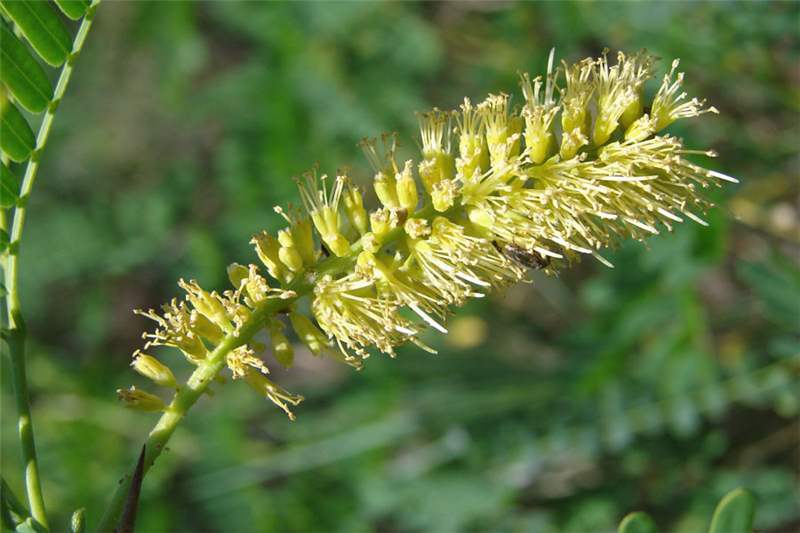 P. juliflora has been included in the Global Invasive Species Database (GISD 2010). 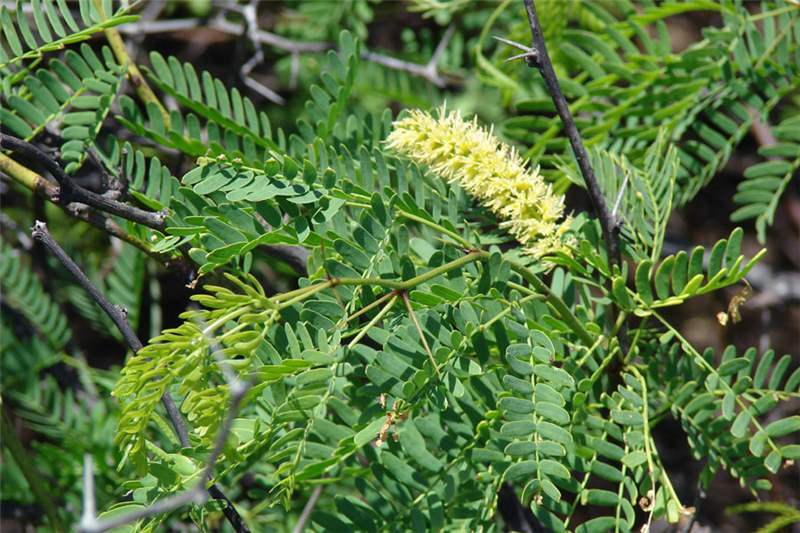 It has been listed as a noxious weed in all Australia states and in Hawaii. Once an infestation has established control is very difficult, labour intensive and may not be successful because of regeneration from the soil seed bank and regeneration of trees from cut stems. There will be no coppicing if the root crown is removed but this is very time-consuming. More success is likely to come from a programme of integrated management that combines mechanical control with the use of herbicides and fire. Spraying with herbicides produces dead wood that will ignite and support a sustained fire with more likelihood of killing the remaining trees. New integrated systems are being assessed in Australia. When using any herbicide always read the label first and follow all instructions and safety requirements. If in doubt consult an expert. Several insects have been released to control prosopis in Australia including a leaf-tying moth (Evippe species) which is very effective (A.B.R. Witt pers. comm.). 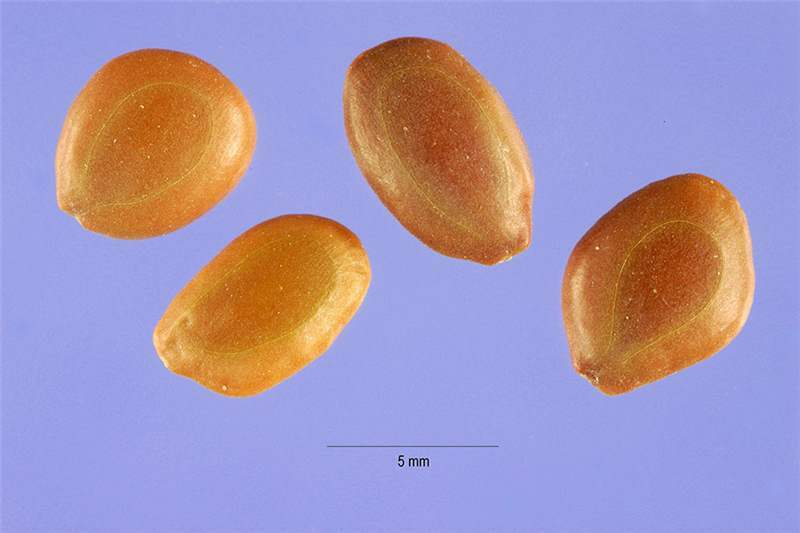 Seed-feeding agents have been introduced in South Africa to reduce seed production and hence spread. 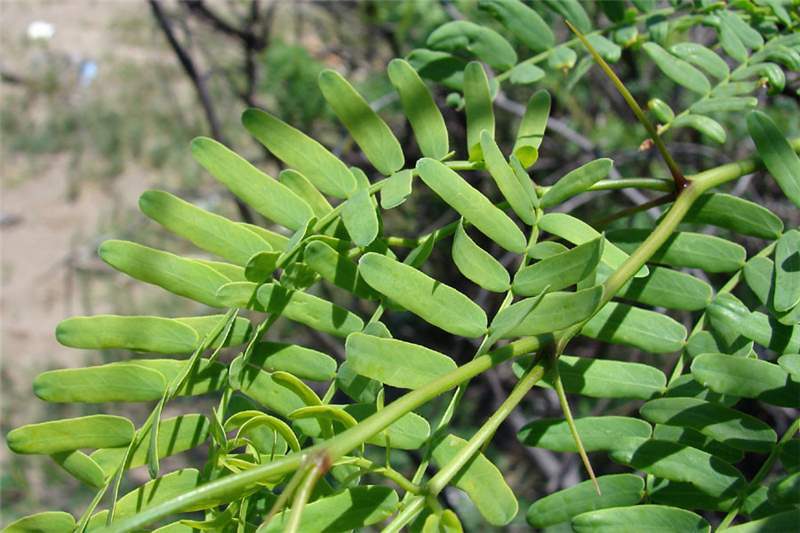 In some parts of East Africa, the claims regarding the spread and negative impacts of prosopis have been challenged by some who wish to utilise this plant which is now widespread in drier areas and spreading further. The end solution will depend upon agreed objectives for management and an integrated management system that uses all means of control while also allowing some utilisation in designated areas. Prosopis juliflora has been declared a noxious weed in Kenya in 2008 under the Suppression of Noxious Weeds Act (CAP 325). Under this act the Minister of Agriculture, can compel land owners who have such declared noxious weeds growing on their land to remove or have it otherwise removed. However, this species is not declared in Uganda and Tanzania. CABI Invasive Species Compendium online data sheet. Prosopis juliflora (mesquite). CABI Publishing 2011. www.cabi.org/ISC. Accessed March 2011. GISD (2010). Global Invasive Species Database online data sheet. Prosopis juliflora (shrub). www.issg.org/database. Accessed March 2011. Henderson, L. (2001). Alien weeds and invasive plants. A complete guide to declared weeds and invaders in South Africa. Plant Protection Research Institute Handbook No. 12, 300pp. PPR, ARC South Africa. NB- related but different species than P. juliflora. ILDIS (2009). The World Database of Legumes online data sheet. Mesquite (Prosopis juliflora). http://www.trc.zootechnie.fr/node/554. Accessed April 2011. Maundu, P. and Tegnas, B. (2005). eds. Useful Trees and Shrubs for Kenya, World Agroforestry Centre, Nairobi. Mwangi, E. and Swallow, B. (2005): Invasion of P. juliflora and Rural Livelihoods. Case Study from the Lake Baringo Area of Kenya. World Agroforestry Centre. ICRAF. Working Paper no. 3.Weber, E. (2003). Invasive Plant Species of the World: A Reference Guide to Environmental Weeds. CABI Publishing, Wallingford, UK.